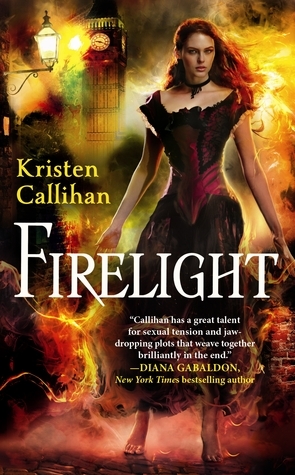 Before I started reading Firelight, I’ve been on a reading slump for over a month. As soon as I open the book and read the first sentence I thought to myself that maybe a paranormal-historical-romance book wasn’t the best way to get me out of it. To my surprise it worked! I don’t know why I was hesitant about this one. I’ve had good experiences with the historical genre. Well the 2 or 3 books that I’ve read were really good. The only thing with this type of books it’s that I feel like I have to pay extra attention to what I’m reading. But at the end it’s all worth it. I fell in love with Firelight. This book was my universe for 2 days. I didn’t do anything else but read it. One of the things that made me fall in love with it was the Beauty and the Beast feel to it. Archer hides behind a mask because of something that happened to his face, and Miranda is the most beautiful woman he’s ever seen. The sexual tension was fantastic. It keeps building up and building up until they couldn’t deny each other anymore, and it was magical. Oh my goodness it was perfect. The paranormal aspect of the book was mild but interesting. It wasn’t until further in the book where I realized that there was much more going than the eye can see. I’m on book 3, and I find that book 2 and 3 have a lot more paranormal activity than in book 1. I’m loving this series! Overall I think this was a fantastic start to an amazing series! The characters are so alive and lovely. The book has everything. It’s funny, scary, hot, classy and everything made of awesome! I liked this one, too! I only read the first one though, and like you I wish there had been more magic in it. It's good to hear there's more of the paranormal stuff in the future books. I'm glad you're enjoying them. Thanks! You won't regret starting the series! It's so amazing! Do let me know if you like them. I hate bump slumps and it kind of comes in waves! I'm glad this one could get you out of it it sounds like a really good series! I often notice that sometimes book 1 is used more for character development and the paranormal etc comes later on in the series. I'll have to keep an eye out for this one! That's definitely the case with Firelight but it was ridiculously good anyway! I hope you give this one a try!! I love it when a great book pulls you out of a reading slump! I will definitely keep an eye out for this series. Yes! It's just like waking up from a long nap. This book woke me up. It was such a great story!